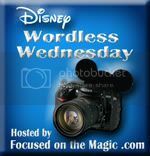 Disney Babies Blog: Wordless Wednesday - Tombstones! Yale Gracey - Disney Legend and Imagineer, was also honored with a Main Street Window. He led a varied career for Disney - working on animated shorts such as the Three Caballeros before working on Special Effects for Disney parks. He designed many of the special effects for the Haunted Mansion, Pirates of the Caribbean, and also worked on the Carousel of Progress for the 1964 World's Fair. Awesome tribute. I remember he is one of the characters in HM movie too..
Ha - I love these tombstones, so fun to read. Love your tombstones! Always very interesting!! Love the tombstones - they make it so much more interesting standing in line for Haunted Mansion! Awesome! Always so interesting to know the back story! Had to come over and get my Disney tombstone trivia fix. :) Fun post, Jenn! That totally makes my morning!! Thank you!